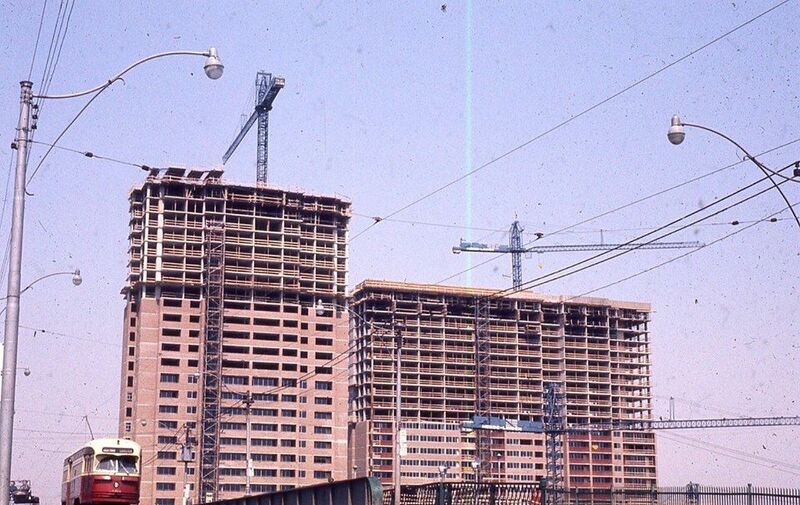 Main Square, under construction in 1971. Image: Rob Pineault / Vintage Toronto. The four-tower Main Square development was planned in 1968/69 and was part of an effort to deliver quality housing at an affordable rate. Situated on land that was held by the CNR, Main Square was expected to house 1115 families at completion. Half of the units were reserved for so-called “$5000 a year families” costing $125 per month at opening. The shopping concourse was expected to help depress the costs further.1Mack Parliament, “East end high-rise expected to house 1,115 families,” Toronto Star, May 7, 1969, B38; “Housing Costs: Villains and Answers,” Toronto Star, April 13, 1971, 6. A Google Maps approximated view.. Image: Google Maps, July 2016. 1. 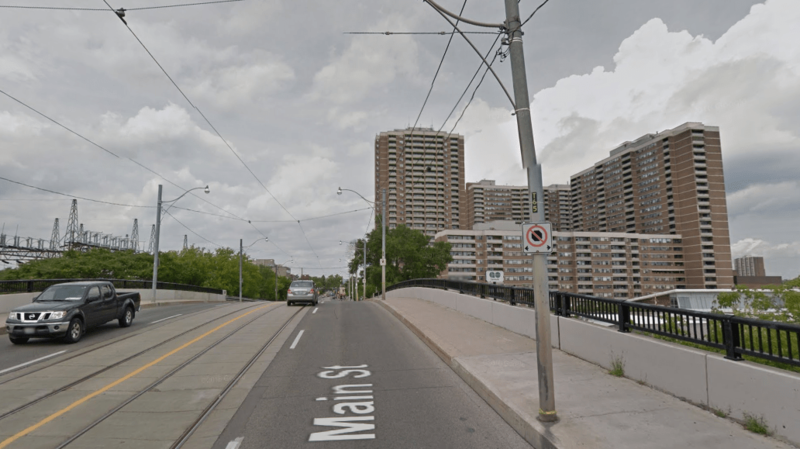 ↥ Mack Parliament, “East end high-rise expected to house 1,115 families,” Toronto Star, May 7, 1969, B38; “Housing Costs: Villains and Answers,” Toronto Star, April 13, 1971, 6.